ULEAD Cards | ULEAD, Inc.
We’ve researched and developed this specialized deck of cards to serve as a tool for engaging your group and building connections. They’re great for quick conversation starters or in-depth team building challenges. ULEAD cards also provide useful tools for social and emotional learning exercises. 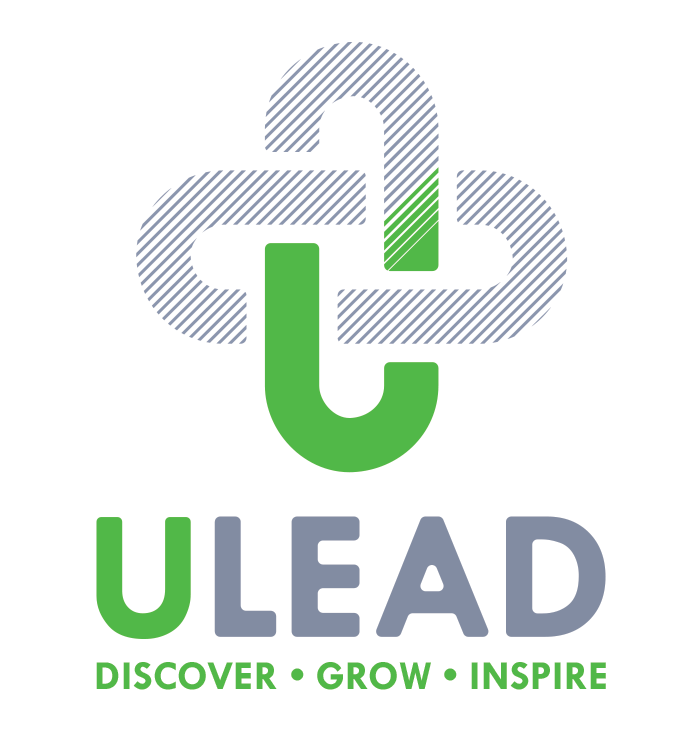 ULEAD cards help you facilitate workshops, run group activities, or just have some fun with friends or family. Use the cards to energize a group, generate participation, manage change and overcome resistance, and ultimately inspire and motivate teams. Our cards have many options for engagement. Our Canadian Reseller! Head to their site to order cards to directly ship to Canada. Need some more help or lost your instructions?! Download a PDF version HERE to get up and running again. Download additional instructions and activities HERE. Looking for instructions for the previous version? Click HERE. For our visual learners (or anyone for that matter), check out a few of our card activities in action! Don’t forget to keep coming back as we are adding more regularly. You have checked out some of our activities, but ULEAD cards were meant to be collaborative. So we have created a space where you can see other card facilitators activities and also enter your own activities! We reserve the right to not post any activity that may we determine as offensive, in violation of copyrights, or may be unhelpful for this site. Want to stay up to date on all things ULEAD Cards like info about new activities, or updates on changes, or additional card resources? This will only sign you up for card related information, for general ULEAD information, please sign up on our homepage. Have each person choose a card from the deck and find a partner. Have them take turns answering the question on their card. When both people have finished sharing instruct them to switch cards, find a new partner, and answer the new question. Optional: Have each person share the most interesting answer they heard from a partner? Why did they find it interesting? Have each person share a new fact or insight they learned about a partner, why was it new or insightful? Hand a card to each person. Have them pair up with someone else and use the image on the front of the card as a metaphor for something they expect to experience or have experienced that day. For example: “This small plant start is how I feel about my new job…it is full of potential but I also feel vulnerable.” Have them share with their partners. You can continue the activity by having them switch partners or pick a new card. This activity can also be done in a group setting where they share with their metaphor with the whole group. Have each person take a card. Have them keep their icon hidden, and circle up in a group. The person with the lowest number card begins a group story with each person contributing one sentence of the story at a time. The sentences should be fairly logical to the progression of the story. 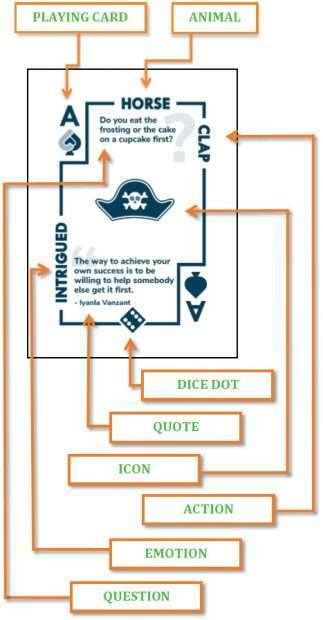 Continue around the circle for five rounds and at some point during the story each person must incorporate their icon into one of their sentences. At the end of the story see if the group can identify each person’s icon. Have each person choose a card from the deck and find a partner. Have them take turns answering the question on their card. When both people have finished sharing instruct them to switch cards, find a new partner, and answer the new question. Optional: Have each person share the most interesting answer they heard from a partner? Why did they find it interesting? Have each person share a new fact or insight they learned about a partner, why was it new or insightful?